EASTON, PA (Mar. 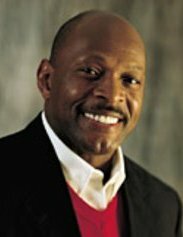 30, 2011) – Lauren’s First and Goal Foundation today announced that Archie Griffin, the nation’s only two-time Heisman Trophy winner, will be the featured guest speaker at the annual Lauren’s First and Goal Football Camp on Sunday, June 26 at Otterbein University. The camps are the primary fundraiser for Lauren’s First and Goal Foundation, which is a 501c3 charitable organization that provides financial support for brain tumor research and cancer services, offers financial and emotional support to families living with pediatric cancer, and increases awareness of the disease. A three-time All-American at Ohio State University, Griffin was a first-round draft choice of the Cincinnati Bengals in 1976. He served as co-captain and played with the franchise for seven years before returning to Ohio State, where he now is Senior Vice President for Alumni Relations and President and CEO of the Ohio State Alumni Association. In 2006, Griffin was listed in NCAA’s “100 Most Influential Student-Athletes” and was appointed to the National Football Foundation & College Hall of Fame Board of Directors. In addition, Griffin is very active in the community and with numerous charitable organizations. He and his wife Bonita formed the Archie and Bonita Griffin Foundation Fund that helps develop sports, educational, and travel programs for youth in central Ohio. He also is the spokesperson for the Wendy’s High School Heisman Program. The LFG football camp is open to student-athletes who will be entering grades 9 through 12 this fall. During the one-day camp, athletes are divided into small groups and receive instruction in a variety of offensive and defensive skills from volunteer college coaches from around the country. Registration for the camp is $30 and student-athletes can register online at www.LaurensFirstandGoal.org. Along with the Ohio camp, LFG also sponsors a one-day camp at Lafayette College in Easton, Pa., which will be held on Sunday, June 5. The camps have helped the foundation raise more than $1 million since 2004. Follow the latest camp news on Twitter at www.twitter.com/LFGfootballcamp and Facebook at www.facebook.com/LaurensFirstandGoal.